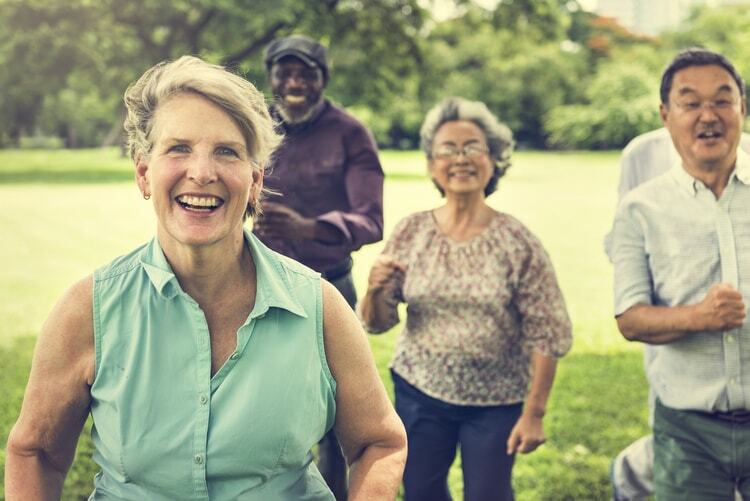 Thanks to both advances in medical science and the awareness that staying active improve our minds, bodies and souls, today’s older adults are living longer, healthier lives than ever before. In fact, the Social Security Administration estimates the average life expectancy for a male aged 65 is 84.3 years, while a 65-year-old female can expect to live to age 86.6. However, about one out of four of today’s 65-year-olds can actually expect to live past age 90! By definition, wellness means not only the absence of disease, illness or stress, but the presence of purpose in life, active involvement in satisfying work and play, joyful relationships, a healthy body and living environment, and happiness. In other words, wellness is the act of making healthy choices that lead to a fulfilling lifestyle. While diet and exercise are of course key elements in healthy aging, there’s much more involved with overall wellness. If you’re looking to live a longer, happier and more fulfilling life, it’s important to consider all eight dimensions of wellness. Think of your health and wellbeing as one interconnected system and strive for a balance in all areas. Maintaining a high level of wellness in each dimension is key to an improved quality of life – especially for older adults. Emotional: When you have a positive outlook on life, you decrease your risk for certain health risks. This is why feeling well emotionally is an important part of staying healthy. Find activities that boost your mood and keep you connected to others. Physical: Good physical health is achieved through diet, exercise and making the necessary lifestyle adjustments to eliminate bad habits like smoking or excessive drinking. Additionally, exercise has been known to be an effective treatment for many of the chronic conditions from which many seniors suffer, helping to ease joint pain, improve strength, flexibility, and balance, all which make daily activities much easier. Environmental: Engaging in activities like recycling or gardening ensure that your surroundings allow you to feel comfortable, inspired and give you a sense of pride. Plus, preserving our natural resources is vital for the future of our world. Social: Studies show that social wellness can be just as effective as exercise for improving your physical and emotional health. Ensuring that you have a great support system in place and continue to meet new people who share your interests is vital to healthy aging. Health Services: Take control of your health by scheduling regular appointments for preventative exams. This provides peace of mind that you’ll maintain a higher level of independence, longer. Intellectual: After you retire, it can be difficult to find ways to engage your brain on a daily basis. Look for continuing education opportunities or play brain games to help keep your mind healthy and fit. An active brain helps reduce the risk of memory issues and cognitive decline. Vocational: Even after you’ve retired, you can consider sharing the knowledge you’ve learned throughout your career with others through consulting or tutoring. Or, consider volunteering to stay connected and give back to your community. It’s never too late to start making the healthy choices that will ensure wellness in all eight dimensions! Start employing strategies to exercise regularly, eat a nutritious diet, manage your stress, and abstain from bad habits like smoking. At Peabody Retirement Community, the eight dimensions of wellness are present every day in the lives of our residents. From enjoying personal training in our innovative Billie Jane Strauss Wellness Center and nutritious dining options to an array of activities to designed to enhance your mind, body, and spirit, we are dedicated to promoting the highest level of overall wellness. For more information about life at our active retirement community in North Manchester, Indiana, please contact us today by calling (260) 982-8616.